Andy Warhol remains one of the most recognizable artists of the 20th century. Confounding the distinctions between high and low art, Warhol is most known for pop art works that use the methods and imagery of pop culture and mass media. More than 110 of Warhol's prints will be on display at the San Diego Museum of Art in an exhibition titled "Andy Warhol's Dream America: Screenprints from the Collection of the Jordan Schnitzer Family Foundation." The exhibition opens June 17 and runs through Sept. 10, in conjunction with a number of special events and programs. The works in the exhibition come from the collection of the Jordan Schnitzer Family Foundation and range in date from the 1960s to the 1980s. The prints are arranged chronologically and in portfolios, allowing viewers to explore the development of Warhol's classic pop images over time. 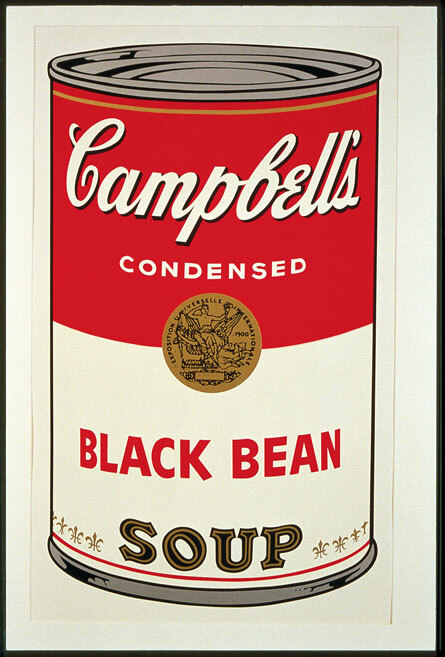 Other highlights of the exhibition include "The Souper," a cotton paper dress decorated with screenprints of the Campbell's soup can, and Jonas Mekas' groundbreaking, 12-minute film "Award Presentation to Andy Warhol" from 1964. Warhol's life was as colorful as his prints. Born in Pittsburgh, Pa., in 1928, Warhol moved to New York in 1949 and began a successful career in advertising as a commercial illustrator. His work appeared in Glamour, Vogue and Harper's Bazaar. In 1962 he began making silkscreen prints, a process typically used for commercial purposes. These works reproduced mass-media images of celebrities and consumer products. The most famous of these include silkscreens of Marilyn Monroe, Mao Zedong and Campbell's Soup cans. In mimicking mass advertising in the context of high art, Warhol raised intriguing, progressive and still relevant questions about the value of art and the way it is consumed within a media-saturated, celebrity obsessed culture. In a culture bombarded with information -- print, television and now the Internet -- images become banal through endless repetition. His works inverted advertising. While ads are designed to tap into the unconscious and evoke a sense of desire, Warhol's work was meant to make the viewer stop and consider images that essentially lost their meaning through over-familiarity. Warhol so embraced the industries he emulated that he dubbed his studio "The Factory." Throughout the 1960s The Factory was not only a production center for his paintings and silkscreens, but also became a focus of fast-paced New York party life. It was a legendary hangout for artists, celebrities and social misfits. Among its visitors were Bob Dylan, Truman Capote, Mia Farrow, John Lennon, Edie Sedgwick and Lou Reed. By the mid-'60s he had become one of the most famous artists in the world, and suddenly turned his attention to film. Between 1963 and 1968, he made more than 60 films. Like his paintings, his films seemed to be concerned with focusing attention on subjects that are often ignored. One of his most famous films, "Sleep," shows the poet John Giorno sleeping -- for eight hours. In 1968, actress and writer Valerie Solanas, who had been trying to get Warhol to produce one of her scripts, shot and nearly killed Warhol in anger over his disinterest. Solanas was also the founder and sole member of S.C.U.M. -- the Society for Cutting Up Men. Warhol was seriously wounded and suffered physical effects throughout his life. Warhol died of heart failure in his home in New York in 1987 after minor surgery. Yet his life and artistry continue to influence art today. "Andy Warhol was one of the most critical artists of our era, and his work has an enduring place in the visual culture of the United States," said Derrick R. Cartwright, executive director of the San Diego Museum of Art (SDMA). "The opportunity to share this stellar representation of Warhol's graphic production with the public in San Diego promises to be a highlight of our 80th anniversary celebration." SDMA will present an assortment of programs in conjunction with the exhibition, including a summer edition of Culture and Cocktails on July 20, a family festival on July 23, a lecture with Ramon Hernandez on Aug. 10 and spoken word with Bob Perelman and Rae Armantrout on Sept. 7. And, each Thursday in August, the museum will present its outdoor film festival "Screen on the Green: Warhol under the Stars," featuring the celebrities Warhol painted. For more information on the exhibition or special events, contact the museum at (619) 696-1999 or www.sdmart.org. PROGRAM: "Andy Warhol's Dream America: Screenprints from the Collection of the Jordan Schnitzer Family Foundation"